(Excerpt from the Report of the National Advisory Commission on Civil Disorders – 1968). In Ferguson, Mo., after more than 70 days of civil unrest stemming from the August, 9 2014 gunning down of unarmed Black teenager, Michael Brown, and the heavy-handed militarized response against protestors, the façade of American civility has been removed as paramilitary police forces deployed tear gas, heavy weapons, and armored vehicles to reestablish and impose an unjust order upon a Black people who have clearly had enough. 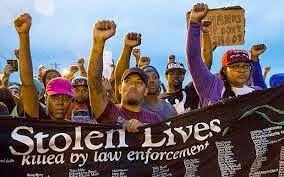 In response, Missouri Governor Jay Nixon’s recently announced plan to institute a study, to address community fear, anger, and mistrust, in the name of his so-called Ferguson Commission, appears to follow on the state level what Illinois Governor Otto Kerner presided over on the national level 46 years ago. Appointed by President Lyndon B. Johnson to investigate the causes of the urban rebellions in major U.S. cities between 1965 and 1967, The National Commission on Civil Disorders, also called the Kerner Commission, reported that Black frustration emanated from a lack of economic opportunity, housing disparities, and a mainstream media oriented solely to the views of the white world. Warning that America was “moving toward two societies, one black, one white – separate and unequal,” it is clear, in 2014, that neither the report, nor its recommendations were truly designed to respect or empower Black America as an equal. While Dr. Martin Luther King, Jr., initially praised the Kerner report for some of its pronouncements, did he recognize the potential for abuse that such a study could actually engender? Today, it is clear there has been an active plan to disperse Black populations in most urban centers, throughout the United States, and to reduce or eliminate local Black political bases. It is also a fact that Black fertility rates have declined from an increasing trend through the 1980s, toward a flatter trend today, where Black America’s numbers have dropped below the Latino population. With these facts being true, along with the rise of mass incarceration, in an increasingly privatized prison industry, what was the actual motive and intention behind the Kerner Commission in 1968, and what is the true motive and intention behind the so-called Ferguson Commission in 2014? According to Europe’s France24 television, and an internationally televised discussion centering on the future of Black America, they referenced an October article in the U.S. news magazine, The Atlantic, regarding a piece titled: “What If Black America Were a Country?” After thoughtful examination of why European viewers would harbor such an interest in this subject, along with the facts and statistics cited throughout the piece, an astute reader should deduce that the U.S. government and European capitals both view the existence of a conscious, enlightened and﻿﻿ empowered Black America as a threat to their long-term mutual interests. Following this logic, it also should be obvious that any moral appeal for Black economic empowerment; an end to government monitoring, surveillance and counter-intelligence activities; and the abolishing of the prison-industrial-complex, will fall upon deaf ears. With no incentive for the white elite to countenance a socially, politically, and economically strong Black community, buying off weak and malleable Black leadership, and discouraging the concept of collective wealth and infrastructure creation, appears to serve a policy and agenda of white supremacy on a global level. According The Atlantic article, a 2005 RAND Corporation study used a CIA assessment based on the University of Denver’s International Futures model to measure national power. Accordingly, “the main metrics of world power used in the…assessment are gross domestic product (GDP), population, defense spending, and a less precise factor that includes innovation in technology…Black America cannot be scored on all these factors, but key indicators are examined here to approximate its standing,” the article said. · Blacks are the only racial group overrepresented in the U.S. military. Blacks make up 12.6 percent of the U.S. population, but over 17 percent of military service members. · For GDP per capita, Black Americans (as an independent country) would rank 46th in the world, below Saudi Arabia, Italy and the United Arab Emirates, but above Russia, Mexico and Brazil. · As a population, Black America ranks 31st in the world, just below Mexico, the UK and Italy, but above Canada, Iraq, Saudi Arabia and Australia. · According to the Fund for Peace’s Fragile States Index, Black America (as an independent country) would resemble a fragile state listed among one of the world’s worst 30 nations. 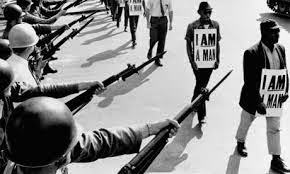 · Black America’s poverty rate of 27.4 percent is currently higher than that in war torn Iraq. · Black America’s median wealth per adult is $4,955, just below Mexico, China and Brazil, but above India and Russia. Black American household wealth is just above the median wealth of Palestinian adults. 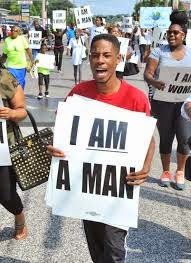 · Black American men have higher incarceration rates than the total numbers confined in the countries of Cuba, Russia, Brazil, Mexico, and India. · The United States ranks 5th in the Human Development Index, but if Black America were a country, it would rank 30th, between Qatar and Saudi Arabia. 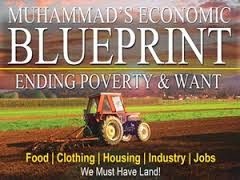 The previously stated facts reveal that Black America is indeed at a crossroads, and while there is clearly a plan from the highest levels of society and government, to manage and control the destiny of Black America, there is also a plan to lift it from the level it currently occupies. While many rightfully argue that a white supremacist system created the condition in which Black America now finds itself, it is also true that the wherewithal to correct it is undoubtedly found in Black excellence, uncompromisable Black leadership, and above all, the love of self and kind. Today, the most significant obstacle to local and national progress is not necessarily racism and white supremacy alone; but it is without doubt fear and ignorance of that dying ideology that neutralizes Black leadership’s effectiveness, particularly if they fail to muster the courage to overcome that fear and ignorance. 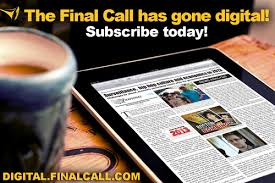 Black America, and its leadership class, have a choice to make and time is fast running out. 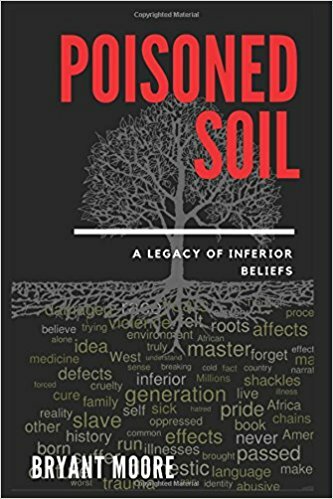 We can either continue down the current road, believing that going-along-to-get-along politics will save us and preserve our future; or regardless of religion, creed, or class, in the Black community, we can contribute to our own social, political and economic salvation by uniting our human capital as well as our nickels, dimes and dollars. 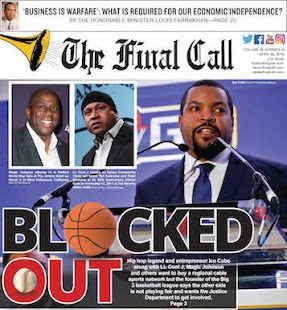 Backing strong Black leaders and doing for self, as outlined by the Honorable Elijah Muhammad and the Honorable Minister Louis Farrakhan is a start, and studying their social, spiritual, and economic programs without envy, jealousy or bias is a must. 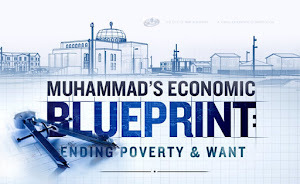 Visit www.economicblueprint.org and see what has been done, will be done and can be done with just the contribution of your nickels, dimes, and dollars. Following right guidance may very well save our lives in a time of crisis. 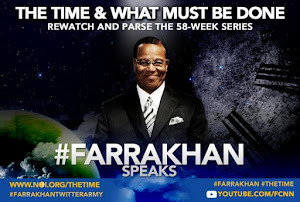 Minister Louis Farrakhan addressed the killing of unarmed Michael Brown by Ferguson police in the context of the conspiracy against Black youth in general. 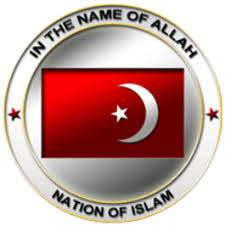 Minister Farrakhan delivered a powerful message of guidance and warning from The Nation of Islam's National Center, Mosque Maryam on Sunday, Aug. 17, 2014. Watch the full video and own the full speech on audio/video download and CD/DVD. 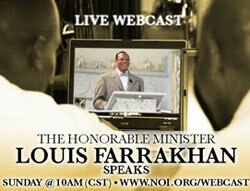 The above video excerpt is from the Honoable Minister Louis Farrakhan's August 17, 2014 Address. Read longer text excerpts of this vital message.. The Troubled World: What Should We Be Doing?